Best of Zanzibar ya Toa Elimu Ya Afya na Usafi wa Mazingira. Best of Zanzibar Health & Sanitation Education Program, Mbuyu Tende & Kijini. Kampuni ya Pennyroyal Gibraltar kupitia tawi lake la Best of Zanzibar linalojihususha na shughuli za kusaidia jamii, imeanzisha masomo ya usafi wa mazingira na afya kwa wanajamii wa maeneno ya Kijini and Mbuyu Tende kaskazini mwa kisiwa cha Unguja. Uhitaji wa elimu hii ulionekana baada ya kufanya utafiti katika vijiji hivyo mwaka jana mwezi Desemba, na kuonekana kuwa kuna changamoto kubwa sana za kiafya katika maeneo hayo ya Matemwe. Utafiti ulifanyika na maafisa afya sita kutoka Chuo Kikuu cha Zanzibar (SUZA) wakisaidiana na kampuni ya Pennyroyal ili kuweza kupata picha na hali halisi ya mahitaji ya vijiji vya Kijini na Mbuyu Tende. Bahadhi ya matatizo yaliyogundulika yalikuwa nipamoja na elimu finyu ya afya, usafi wamazingira na ukosefu wa vyoo na maji safi. Wanafunzi na waalimu wa Kijini na Mbuyu Tende wamepewa dawa za meneo, miswaki na sabuni ili waweze kutumia majumbani kwao. / All students & teachers at Kijini and Mbuyu Tende were given toothbrushes, toothpaste and soap to practice safe and clean hygiene practices at home. Afisa Afya Bw. Ally Abdaullah Ally akiwaelekeza wanafunzi ya shule ya Msingi Mbuyu Tende namna sahihi ya kunawa mikono. All students & teachers. 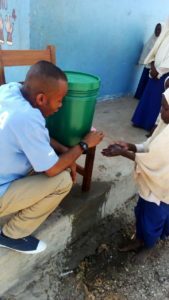 / Best of Zanzibar Health Officer Ally Abdullah Ally teaching primary school students at Mbuyu Tende how to wash their hands properly. 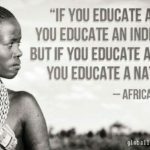 Masomo haya yatafanyika katika awamu tano, yakianzia kwa viongozi wa jamii wakiwemo masheha na wasaidizi wao, walimu na wanafunzi, kwenye vikundi mbali mbali kama vya akina mama, wavuvi na vijana, na kwenye mahospitali wakati wa kiliniki za kina mama. Elimu hii itatolewa kwanzia tarehe 27 Februari na awamuya kwanza itakamilika tarehe 9 Marchi 2017. Maafisa Afya wa Best Of Zanzibar wakiwa na Mwalimu mkuu wa shule ya Msingi na Sekondari ya Kijini. / Best of Zanzibar Health & Sanitation Education Facilitators with Kijini School Head Master and students from Kijini Primary and Secondary School. Tunapende kuwashukuru maafisa afya Ally Abdullah Ally, Patima Saleh Shadid, Salma Mohammed Masoud, Suleiman Juma Suleiman, Zeldat Masoud Khamis, na Said Salum Kileo, kwa kujitolea na kuelimisha kwa moyo wa furaha jamii za Kijini na Mbuyu Tende. Best of Zanzibar is proud to announce the success of its Health and Sanitation Education program at Mbuyu Tende Primary and Secondary School and Kijini Pre-Primary, Primary and Secondary School. Best of Zanzibar is working with seven Health Officers from the Department of Environmental Health at the State University of Zanzibar (SUZA) and have developed and trained together with lead Health Officer Nahya Khamis Nassor to teach teachers and school children practical hygiene practices and its importance. The Health and Sanitation Education program started with training for the community leaders on the basis that community leaders are key components in the behaviour change chain by promoting practices which they also understand. The education is shared at Mbuyu Tende School with 512 students and 10 teachers, and at Kijini School with 809 students and 17 teachers. The program will continue with community groups, local health clinics and the general public – a total population of approximately 7500. The objective of the Health and Sanitation Education is to promote positive hygiene-related behaviour change practices for these students. In Mbuyu Tende, approximately one in eight primary school students responded that they washed their bodies in the past week. 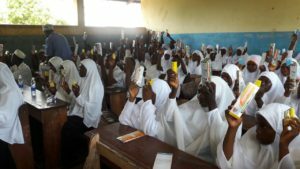 The goal of the Health and Sanitation Education is to educate students, teachers and the community in general about the link between illness and diseases and safe hygiene practices, so they understand the importance of washing hands, teeth, bodies and how to stop the spread of bacteria that may cause illness and disease, such as cholera. The students are engaged and interactive, they asked lots of questions, and requested further information provision about the various disease and other public health matters. ‘The program was developed from the results of the Baseline Survey of these villages conducted in October 2016, identifying Health and Hygiene as primary concerns for the area. We found that many in the community lacked the basic knowledge of environmental and physical hygiene. The program entails providing education of safe hygiene practices at sanitation or wash areas, and to introduce sanitation practices that promote hygiene and health at school and at home, including a take-home package of soap, toothbrush, and toothpaste for every student.’ said the SUZA Health Officer Ms. Nahya Khamis Nassor. The Health and Sanitation program started on February 27 and is expected to finalize phase one of the program on March 9, 2017. A Special thank you to all the Best of Zanzibar Health Officers for dedicating their time and sharing their knowledge and passion with the students, teachers, and communities of Mbuyu Tende and Kijini. Ally Abdullah Ally, Patima Saleh Shadid, Salma Mohammed Masoud, Suleiman Juma Suleiman, Zeldat Masoud Khamis, na Said Salum Kileo. 5 Comments On Best of Zanzibar ya Toa Elimu Ya Afya na Usafi wa Mazingira. 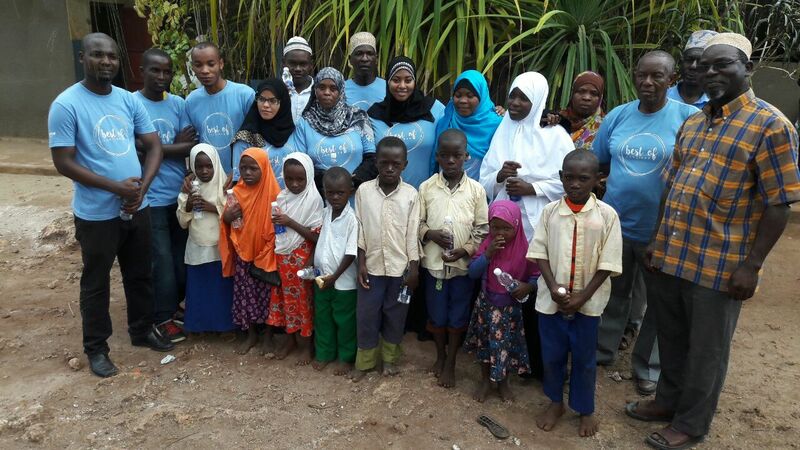 Best of Zanzibar Health & Sanitation Education Program, Mbuyu Tende & Kijini. Well done guys…hope the society will change…together we can build a better zanzibar…. Sounds like a great team effort. Congrats to everyone involved, and best of luck for the continuation of this valuable program! Yah! It is impressed to have such kind of community that is well knowdgeble on sanitation and health issues.